Our reservation team will use your specific requirements to find you carefully selected accommodation tailored to your needs. We have personally visited and handpicked high standard flats and homestays with friendly and welcoming hosts. Our Hosts will provide a warm and welcoming living environment and often giving you access to their household utilities, so you can feel right at home. All of our Hosts are located in safe, quiet and convenient locations, and we will give you in depth advice on transport and local amenities. We are a bespoke booking service, offering carefully selected accommodation in homestays, flats and bedsits with one of our registered Hosts. At the heart of our company are our team of Hosts, whose beautiful homes and warm hospitality are what make staying with us so special. We personally view all our accommodation and develop valuable longstanding relationships with our Hosts. It is with this unique care and insight that we are able to find you a home from home, in the right location and at a price to match your pocket. To get started we ask you to fill out an enquiry form which will give us an idea of exactly what you are looking for. Once we know your preferred type of accommodation, location and dates, we will search through our books for a suitable place for you to stay. You will then receive microsite links for a selection of Hosts, which showcase images and detailed information about each Host’s accommodation and the surrounding area. All you have to do is browse through your options and make a choice. We will confirm the booking and send you the full details so that you can get in touch with your Host. It's as simple as that. We do all the hard work for you, offering a bespoke accommodation arrangement without the hassle. 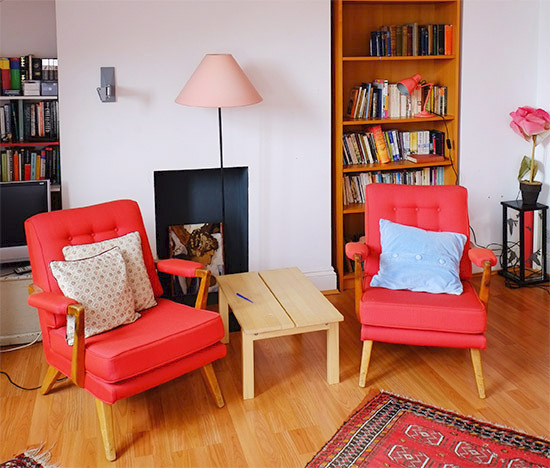 We can provide you with a homestay room in a comfortable family home, a bedsit room with a private kitchenette or a fully equipped flat where you can be completely independent. The choice is yours and we will be completely transparent about exactly what facilities you will be provided with. Whether you want full or light access to a kitchen, a private or shared bathroom, a pet-free home or maybe access to a garden; these are all preferences that we can take into account to find just the right accommodation for you.